Earth as an element of nature sustains energy through soil’s abundance and receptive stability; this is why Earth’s symbol in different cultures is the square and its colours are green as well as brown. 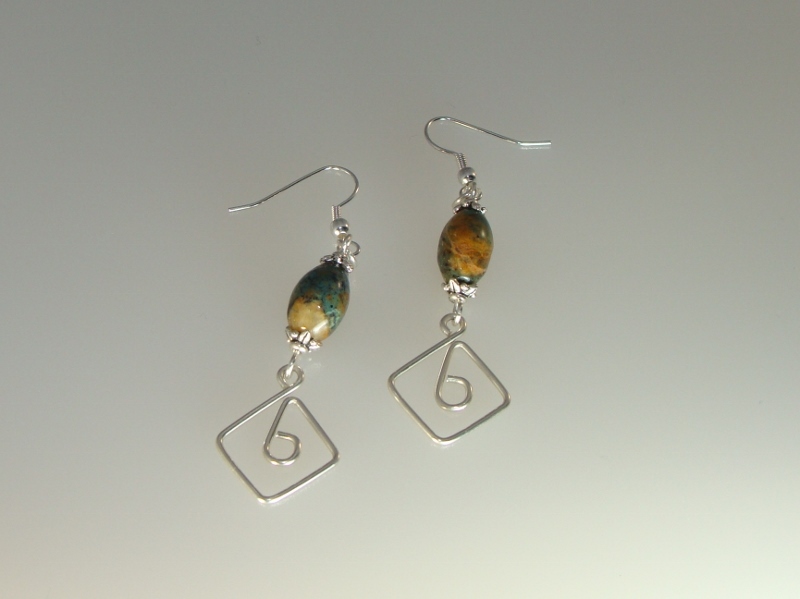 Square of Earth earrings combine green “opals” with squares where the small inner circles within the squares symbolize a seed entering this element. Square of Earth earrings combines green "opals", 1/10 silver-filled and silver-plated; approximate length is 4.5 cms (1.77 inches).